Usually, New York City street art means graffiti. Sometimes, space invaders. 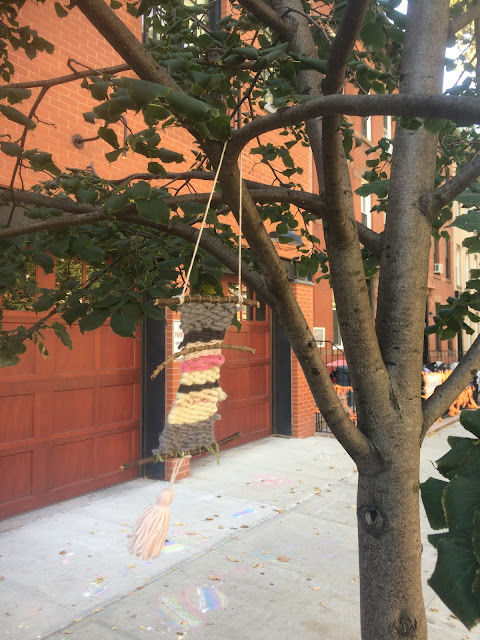 You usually don't think weavings when you think street art. 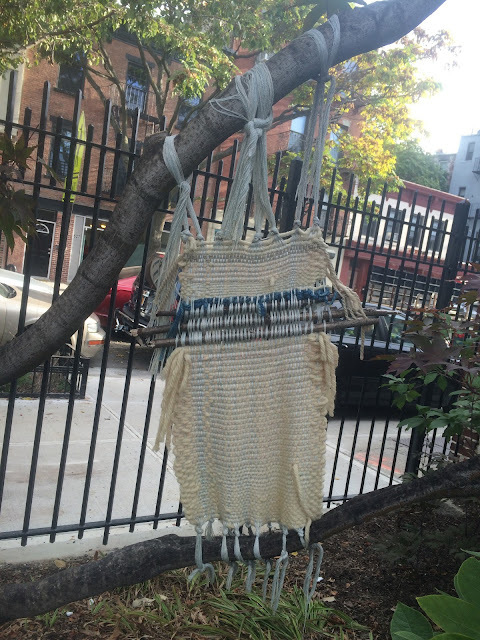 But, I saw some weavings in a Brooklyn park and they made me want to make my own version and put them on the street. 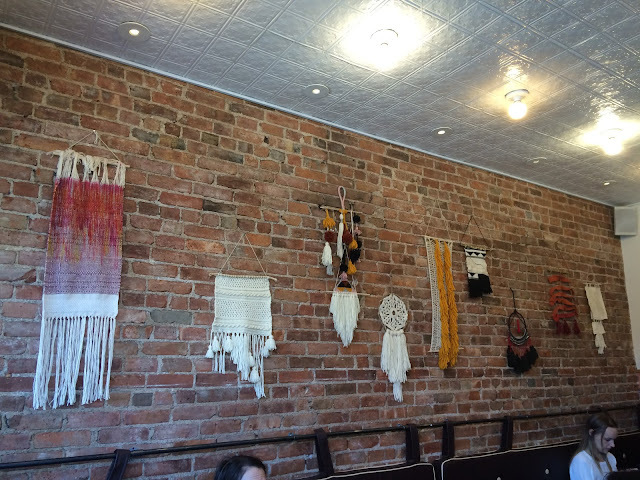 The above weavings were made by my friend and I (mine's on the left). I haven't woven (is that the word?) since, oh, the 4th grade. Based on my memory of how to weave, I improvised a little system using tape and a tray. You can google all sorts of helpful weaving tutorials, though. 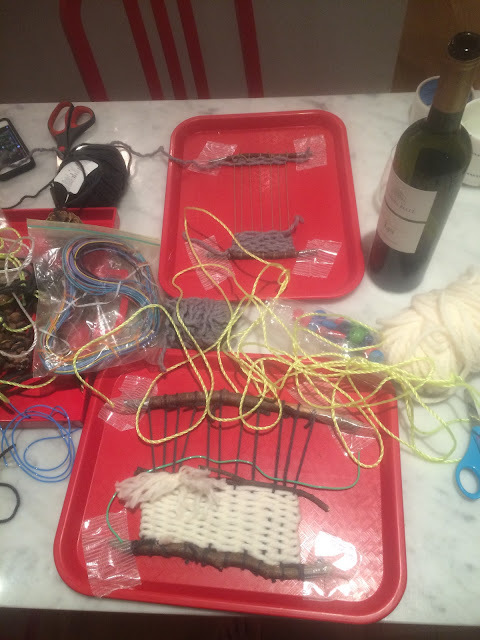 Wine and weaving night...or should I say wine and weave-ening...was a blast. 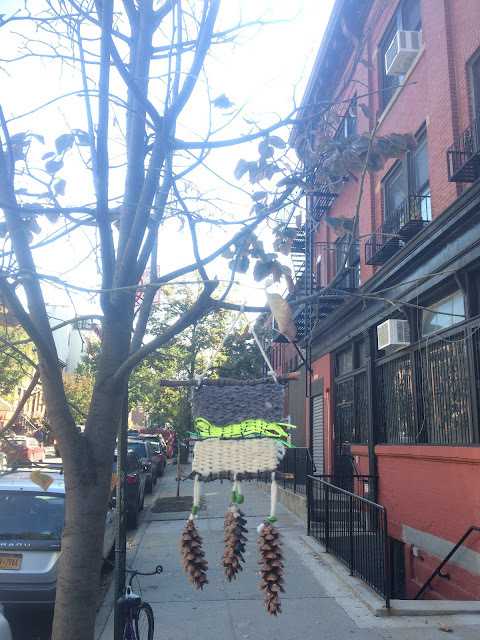 Making stuff and putting it on the street is surprisingly satisfying. I highly recommend trying it yourself and/or with your kids. 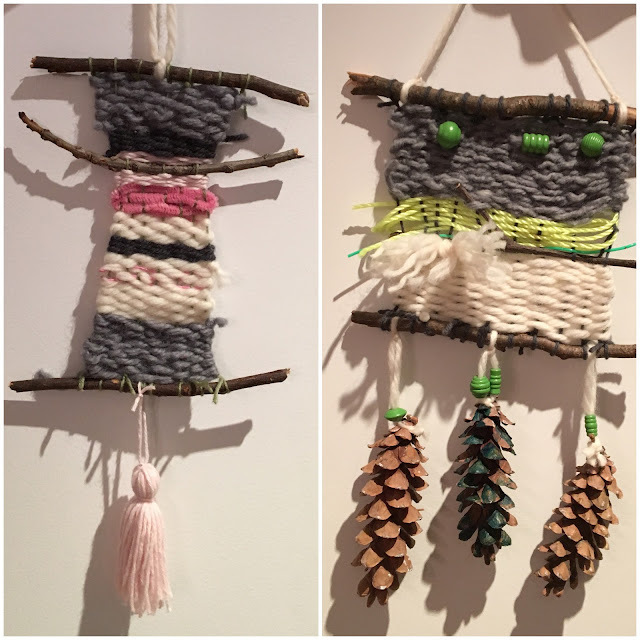 Wine and weaving, a nice combination! 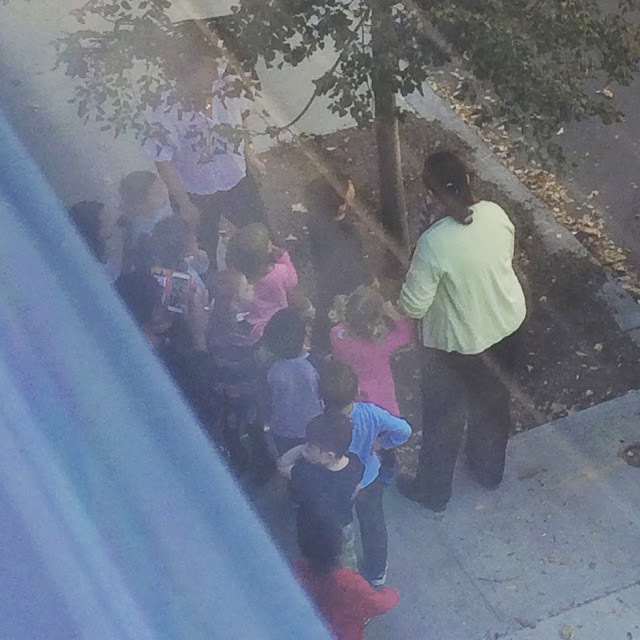 I spied a class of elementary school students enjoying our weavings outside my window. How fun! Suddenly, weavings seemed to be everywhere. 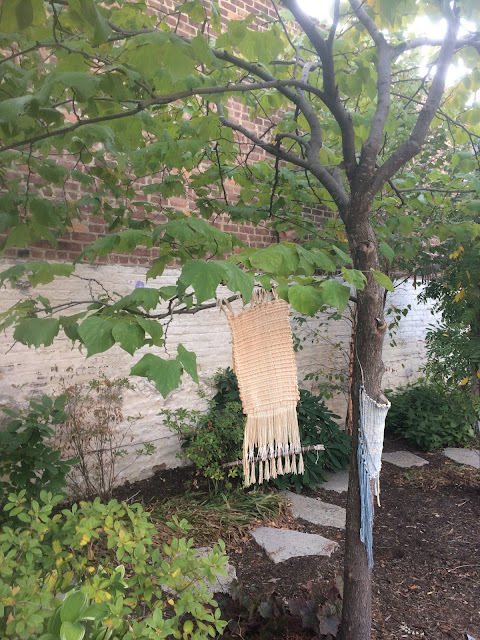 Shortly after we made our street weavings, the friend I made a weaving with sent me this picture from Colson Patisserie, also in our neighborhood.